Getting roof leak repair in Alpharetta right when you need it is so important to make sure you can avoid any number of serious problems that are likely to occur when you put it off. 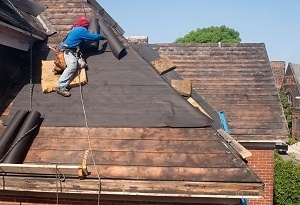 Here are some of the most common dangers of procrastinating essential roof repairs. Having a roof that’s in good repair will save you money on your energy bills as well as make your home an overall more comfortable place to be. When you have gaps in the roof, whether you can see them or not, you’re making your home far less efficient than it could be. On the other hand, calling a contractor to take care of the problem right away will help you continue to save money on your energy bills because you’ll have fewer leaks and gaps in your home letting your cool comfortable air out of the house. The cost of repairing the roof may be less expensive than you think and you’ll certainly save lots more time long-term. If you have leaks or gaps, you’re not just making your home less energy efficient. You’re also increasing the likelihood that your home will sustain serious structural damage by letting moisture and water problems go unchecked. Having moisture and water sit in your home can cause problems such as mold and dry rot, as well as pose a safety and health hazard to people living in the home. Many people don’t know that roofing problems can manifest themselves in the foundation and drywall of your home. If you have cracked walls or a damaged foundation, this could indicate roof problems. It could also be what causes roof problems. 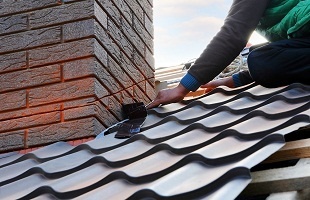 It’s best to stay on top of these things with regular roof inspections. There doesn’t even need to be significant gaps in the roof for animals to get in. Having animals get in your roof and attic is a serious problem that needs to be controlled right away. Not having an inspection done regularly to check for termites and other insects that cause chaos in roofing systems will ensure serious damage. When your roof is showing signs of age or needs to be repaired, call a roofing contractor to give you an estimate for roof repair cost in Alpharetta right away.